This bilingual co-production between the National Theatre Company of Korea and Birmingham Repertory Theatre is full of archly beautiful, winding, third-person monologues that flit between everyday mundanity and apocalyptic chaos. It often brings to mind Chris Thorpe’s Victory Condition , except this piece tightly focuses on Generation Z and their intense, unavoidable awareness of the state of the world. 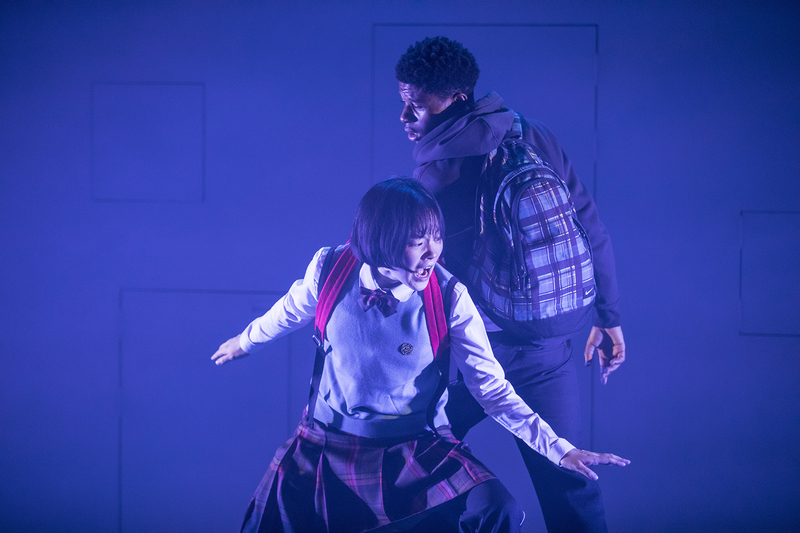 The play follows two 15-year olds on opposite sides of the world (played winningly and warmly by Minju Kim and Rasaq Kukoyi in Korean and English, respectively). It never patronises the younger generation, but instead vocalises and validates their fears. They worry constantly about climate change, war, and the apocalypse. These fears bleed into everything – particularly their personal feelings of isolation within their families and friends – and their anxieties become more material in the process. Peter Wynne-Willson directs with a lightness of touch on Shin Dong Yeo’s sparse, clean set which allows for time and place to become blurry – Korea slips into the UK, and characters communicate in both Korean and English, a quiet but deliberate decision which emphasises the bond between us rather than the differences. It is, regrettably, a little too dense for its own good, and seeks to cover far more than it can stand, and yet at its heart, Placey and Ko’s play maintains a sense of kindness and empathy towards a generation who feel like the world is about to end.